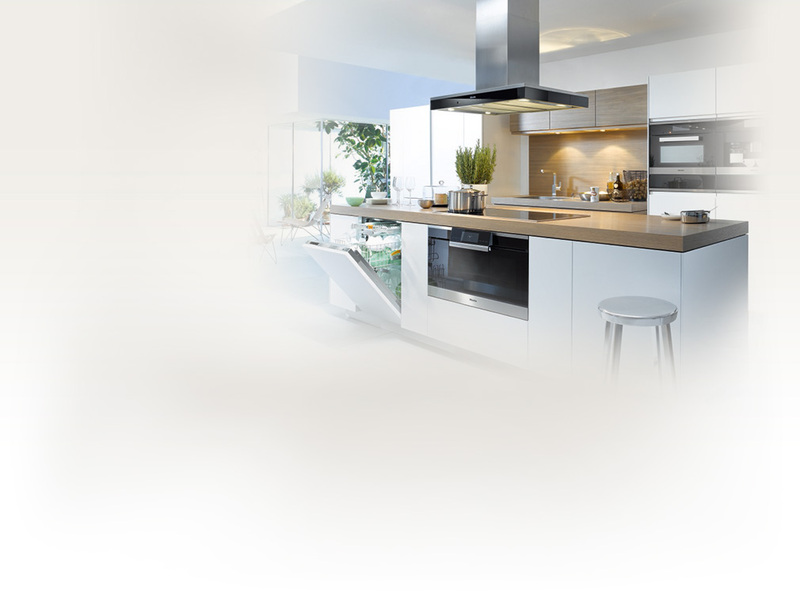 ﻿ Rangehood guide: Extraction or Recirculation? The decision of whether either extraction or recirculation can be used in your kitchen depends on several different factors. The list gives the most important criteria for consideration when choosing the right mode for you. Ducting allows odours and moisture to be directed outside. Flow characteristics are affected by the shape and length of the ducting system. In general: round is better than square and the smoother the surface of the ducting, the more efficient the extraction system will be. The cross-section of the ducting must also be suitable for the power of the fan. If a flat ducting system is used, air deflectors must be used in the bends. 150 mm round ducting can be effectively replaced by a flat ducting system of 89 mm x 222 mm. Longer ducting lengths with several bends can have a negative impact on the efficiency of the rangehood. Extraction mode rangehoods need an exit to the outside. This can be via a vent installed on an outside wall or the roof. To duct through a wall a wall vent kit is required. To duct through the roof a roof vent kit is needed. The Miele wall vent kit has energy-saving benefits. It has a sealed non-return valve with a magnetic closure to prevent warm or cold air streaming back inside and also keeps out leaves, debris etc. The grille is designed to conduct the air flow, minimising loss of air throughput and directing the air flow away from the walls of the house. Heating devices which rely on ambient air (gas, oil wood-fired boilers and heaters, etc) draw combustion air from the air circulation of the dwelling. This includes not only the room in which the heating device is sited, but the air circulation of the whole house or flat. Safety measures are required to ensure ventilation so that such devices are not impeded by the use of an extractor hood. Suitable measures to guarantee ventilation include a window contact switch, which prevents the use of the hood if there is no window open. In extraction mode the room air is drawn outside and therefore out of the kitchen. The resulting underpressure in the kitchen causes odour-free fresh air to stream back through the open kitchen door from adjoining rooms or from outside through an open window. If the doors and windows are closed, very little or no fresh air can enter. The resulting underpressure is not equalised and leads to an increase in the motor speed, producing a considerable increase in noise and a reduction in air throughput. A low energy house is an energy standard for new houses or for renovated older houses which do not exceed specific energy technology requirement levels. Extraction and recirculation hoods are both an option in such houses. Consult with the architect and possibly also the ventilation engineer on site when deciding which hood to use. A passive house is understood to be a building which, due to its excellent heat insulation properties, does not require conventional systems for heating in winter or cooling in summer. These houses are called "passive" because the majority of their heating requirements are fulfilled by "passive" sources such as sunlight and waste heat from people or appliances. The heart of the ventilation system is waste heat recovery with a counter current heat exchanger. 80 to 95% of the heat from the exhaust air can be reclaimed for the supply air, without the air supplies becoming mixed. Recirculation hoods are recommended for passive houses. Grilling causes an enormous build-up of heat and smoke in an enclosed room. An extraction mode hood is highly recommended for grill appliances. This effectively conducts smoke, odours and heat out of the room and into the open air. For gas cooktops with a rated load of more than 11 kW, but not greater than 18 kW, an extractor hood or a controlled ventilation system (not recirculation) which has a minimum displacement volume of 15 m³/h per kW total rated load must be used. Corresponding supply air vents must be available. Additional ventilation must be provided for recirculation hoods which are not supported by an in-house ventilation system (such as those usually found in passive houses). This helps to remove the moisture resulting from cooking and prevent a build-up of moisture in living areas which can cause damage to brickwork. Active charcoal filters are used in recirculation mode to filter out odours. They are made of active charcoal which absorbs odour particles like a sponge, captures them, changes their molecular structure and neutralises them. Active charcoal filters should be changed every 6 months or when the programmable filter change reminder lights up.